Enjoy the benefits of beautiful woodland settings. Relish the effects of connecting with nature, mentally, physically and socially. 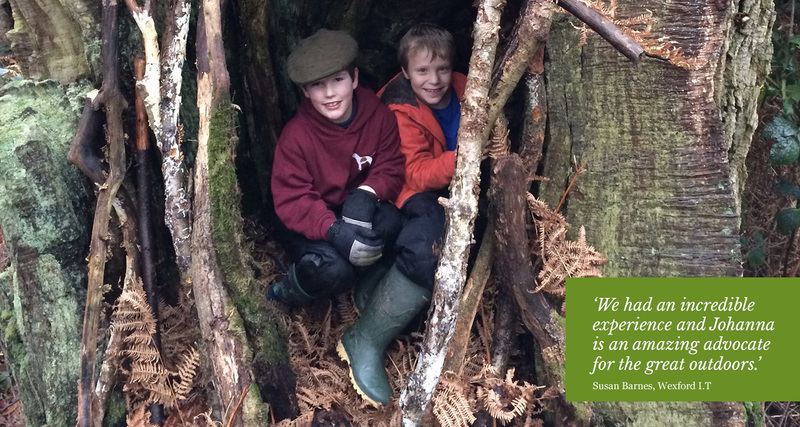 Relax, have fun, explore, learn new skills, savour the chance to be creative and imaginative, play games, experience storytelling, cook over an open fire, meet new people, enjoy team work, use nature’s abundant resources for art and crafts, immerse yourself in natural surroundings, climb a tree. Feel revived after a wonderful digital detox. Enjoy nature’s therapy. Have FUN!